QuickBooks Connect 2018 is an unforgettable event, with an amazing line-up of keynote speakers. 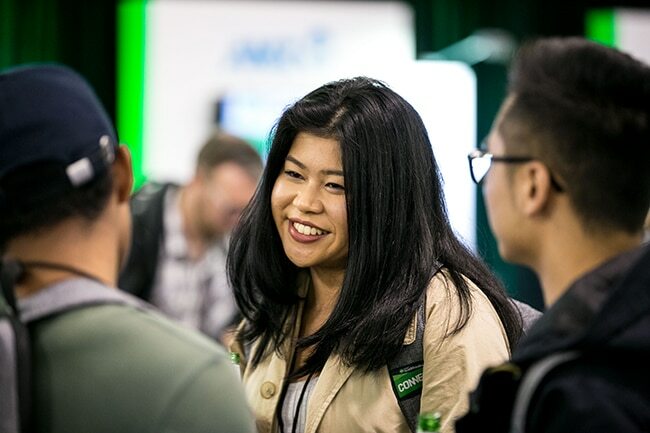 If you missed out on attending QuickBooks Connect in Sydney or simply want to watch your favourite guest speaker again, you’ve come to the right place. We’ve got full videos of the top sessions of QB Connect right here. Watch – Morning keynote here. Hear from Intuit Australia Country Manager Nicolette Maury, Canva co-founder Melanie Perkins and Intuit founder Scott Cook. Watch – Accountant and bookkeeper kick off here. Hear from Accountant Segment Leader Rich Preece, Intuit Australia Country Manager Nicolette Maury and Australian Firm of the Future winner Lielette Calleja. Watch – Afternoon keynote here. Hear from emcee and comedian Anthony ‘Lehmo’ Lehman, Orange Sky Laundry co-founder Nic Marchesi and designer Collette Dinnigan.